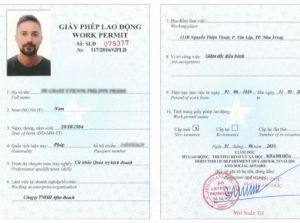 Work permit in Vietnam is issued by the Department of Labor, Invalid and Society. It is valid for a period of 36 months (3 years). After it is expired; foreigners have to apply again for a renewal permit. The processing time is around 15 working days. We charge $650 for work permit. Over 18 years old and have sufficient health condition to match the demand of the job.